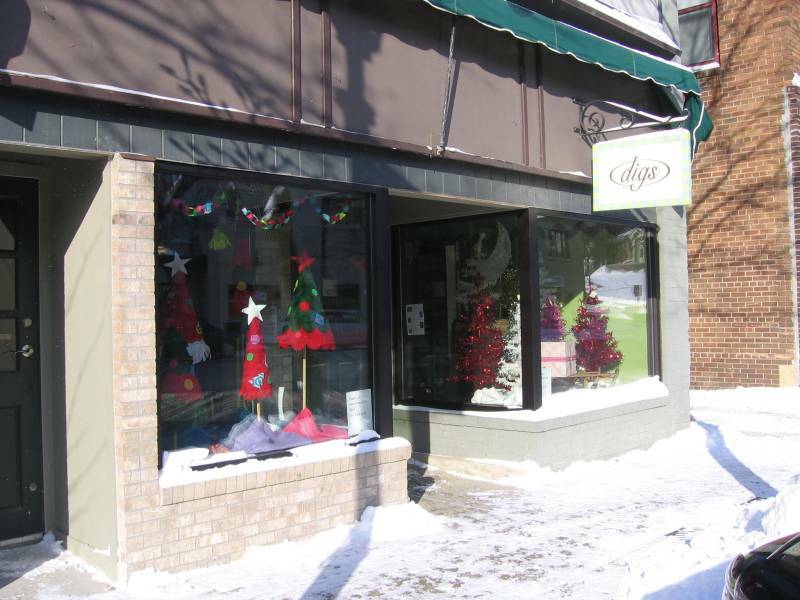 For a number of my friends, the shop known as “digs” is one of the best things that has happened to Northfield in recent years. Northfield native Eric Hope and his wife Linda Schneewind have brought a regionally-renowned source of design ideas to our authentic downtown. As most Minnesotans were still adjusting to the dramatically changing temperatures yesterday morning, I stopped in at digs for some ideas. Eric was happy to help. He started with the locally-made Sassy T-shirts. With concepts like “Knittin’ Kitten” and “Stitchin’ Vixen” emblazoned across the chest, they certainly get my imagination going. 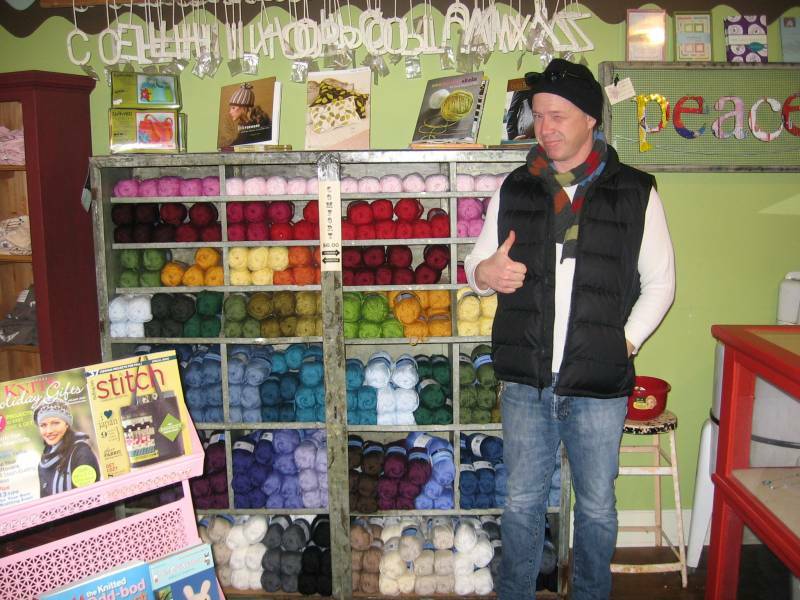 His enthusiasm for the hand-dyed yarns was obvious. I admit, I don’t knit; however, the colors of these yarns are amazingly vibrant and just looking at them is truly a pleasure. Finally, almost as an afterthought, there’s mistletoe by the cash register. Regular readers of the blog know how my mind works and I’ll be honest, it was the first thing that I noticed in the store. I plan on picking up some for this weekend…holiday spirit and all that…(ho, ho, ho!). A couple members of my Board of Directors want the world to know that Northfield is Historic but Hip. Some sassy gift ideas from Eric and Linda certainly share that message.